Mumbai, Feb 4 : Actress Kareena Kapoor Khan on Sunday brought the curtains down on the five-day Lakme Fashion Week (LFW) Summer/Resort, with a neat, bold avatar in an all-black ensemble by Shantanu and Nikhil. She looked glamorous in an off shoulder, fitted dress as she sashayed down the stairs, with the iconic central facade of Sophia College, which has been featured in several films, as the backdrop for the Lakme Absolute Ultimate Finale. "I could feel the energy on the stage when I was on the ramp. I still get nervous even though it has been a decade. Still the fear of ‘Oh my God, will I look okay? And how is it going to be’ is there. 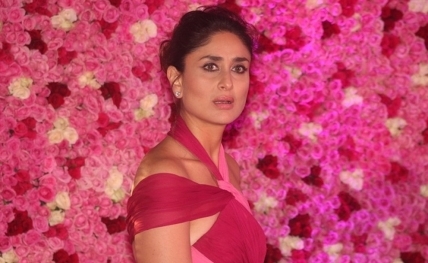 But today, I think it was just a powerful feeling," Kareena said after the show. The designers, who marked their first time at the LFW grand finale, showcased their line Recruit SS’19, aiming to highlight the evolution that has led to the emancipation of the millennial Indian woman. A brief video before the show highlighted achievements of women like Kareena, Saina Nehwal, Sania Mirza, Alia Bhatt and Dia Mirza among several others. "The concept of the show by Shantanu and Nikhil was just so noble and brilliant. I am absolutely honoured to walk for them," said Kareena. This season, the designers brought alive Lakme’s beauty theme, Matte Reinvent, which is all about being bold, intensely matte and yet comfortably glamorous. The narrative of Ultimate Recruit surrounded strong Indian woman who is in control to advocate a change in guard, being driven by fellow strong women who represent the millennial energy of our country, the designers said here. With a black, gold and scarlet red colour scheme, the ensembles ranged from edgy skirts, oversized capes accessorised with eclectic medallion adornments, silk tassels and intricate gold embroidery. LFW Summer/Resort 2019 kicked off with a show by Gaurav Gupta on January 29. Bollywood celebrities lent full power to the extravaganza, where sustainable fashion remained the buzzword.